The documentary begins with the discovery of a skeleton at the bank of a river. It is believed that the skeleton is that of a person murder in cold blood hence treated as a homicide crime. A forensic investigator is invited to identify the individual and also determine what exactly killed him. First, the archaeologist begins with collecting all the bones he finds and starts reconstructing them to determine his race age and gender to place him and his identity. The investigator learns from the face structure that he was a 45year old man with the face of a Caucasian origin. The teeth and the jaw size assisted in identifying the age and the gender. He used the skull to determine the victim’s race. The skull was a long narrow head with a little bit prominent brow ridges and a long nose which prompted him to assume that the victim was a Caucasian. These characteristics according to him were a relatively recent person whose origin would most likely be Europe. As the investigator continued his examination of the bones, he identifies something that does not fit in the timeline. The detective discovers a gray object embedded in the hip of the victim. The object is then tested to identify what it is but unfortunately doesn’t match any metal in the modern history. Instead, it matches of a base of a spear point. The object is identified as a stone age weapon which brings the question to what this kind of object was doing in the body of a modern age person. The discovery prompted the investigator to use carbon dating technology to identify the age of the bones. The results came a week later identifying the bones to be of a man existing 9000 years prior. With the discovery, the archeologist and investigator start documenting his findings as this was a rear set of bone found in perfect condition. During the study, the archeologist was able to learn several things about the Kennewick Man. Included in this list are some fractures that would usually cause the individual to die, but they did not. Instead, the injuries healed. One of them was a broken left elbow in his youth, which caused severe bone damage. Some of his chest bones were broken due to blowing by a blunt object. The individual also had a fracture on the left side of his skull which would only be present if a right handed person struck him. All this are indicators of a rough environment for an individual considering that he was able to heal through all the fractures that would be fatal for the modern day human being. The presence of this wounds places doubt on the kind of environment they people were living. The doubt is whether it was a peaceful one since they were few or they were fighting each other for resources. As the theory of the first native Americans existed, it would have been assumed that the individual was of the American native decent, but the shape of the skull proved different. The documented native Americans have prominent cheekbone; however, this one was different. Instead, this individual had a long cranium accompanied by a narrow face making him distinct from any other that has ever been discovered. Europe, middle east, and India are the places that this individual would be found according to his skull. The analysis led the investigator to communicate about his discovery to anthropologist Douglas Owsley who had knowledge on a similar facial structure. Owsley and his colleagues at the university had a discovery on the difference of the early man depending on their facial structure. None of the bones studied had a close resemblance to the modern native Americans presumed to be their descendants. Unfortunately, the study had to be cut short due to the federal law that enables the remaining native Americans to reclaim remains of people who are found to have existed prior Christopher Columbus expedition in America. The NAGPRA allows native America descendants to recover the remains of their ancestors and prohibits the museum from displaying the remains publicly. The law also prevents further studies on bones if they are reclaimed and allows the descendant to rebury their ancestors. The law, therefore, hinders study that may put light on the origin of the native Americans. In their argument, the Umatilla people believed that they lived in the Pacific west since the beginning of time. Hence they argued that the bones belonged to one of their ancestors despite the difference in facial structure. Aided by the NAGPRA, the Umatilla people demanded the repatriation of the bones so that they could bury them in a secret location. However, the scientist went to court to prevent the burial of the bones since they were the most comprehensive collection of bones from one individual dating to his time and studying them would shed a lot of light on several issues about the native Americans or the man who looked different from the modern native American. The battle was as a result of the emergence of new ideas on the man who formerly occupied America. The theory that was already in existence about the native American is that it is not until the end of the ice age that the indigenous man migrated from the Asian countries to the new land which was America, which was 1200 years ago. The end of the ice age was therefore 1200 years ago. However, with the discovery of bones of over 9000 years, the theory became nullified as this only shows the existence of man in America ages before the end of ice age hence presenting a new theory. With the NAGPRA law, the scientist would be denied the chance to make a comprehensive study on the issue. Archeologist in Brazil and Chile have found new evidence of the existence of man in America that predates the end of ice age along the Pacific. The presence of this evidence only means one thing which is the life of man in America prior the ice age and studying the bones being contested on would shed light. The scientists argued that the bones were too old to be claimed by the modern native Americans hence begin to reconstruct it so that they can have a clear picture of how the man looked. It is done through a 3D reconstruction where a model is made out of his facial structure. The original investigator on the case also tries to reconstruct the individual and what comes out at the end is a structure that resembles an English actor by the name Patrick Stewart. Both reconstructions could not be possibly wrong, and they result in a European structure which has a long jaw. The results also brought into picture whether the first American was a European. Study on these bones reveals a huge difference between the modern native America and the ancient bones. The surprising thing about this is that if one said the bones are close to any race, it would be the Ainu tribe of Japan. The Ainu are the native tribe that lived in Japan, and their existence predates the history before the existence of the ethnic Japanese people. Very few full blooded Ainu people exist today. Anthropologists referred to these native Japanese as Asiatic Caucasoid as they had the facial formation like that of Europeans together with their hair. The Ainu people were thought to be among those that existed in the old world that was thought to migrate from African 100,000 years ago to the rest of Europe and Asia. According to the study on the bones, the best way to understand the Native American is by not comparing them to the looks of the Europeans but by understanding them from the looks of the Asians but not the modern Asians but rather the Native Asians. The old theory dictates that there was no existence of humans in America until the end of the ice age. However, the discovery of the Kennewick Man brings in doubt on this theory and introduces a possibility of the existence of man in America before the end of ice age. 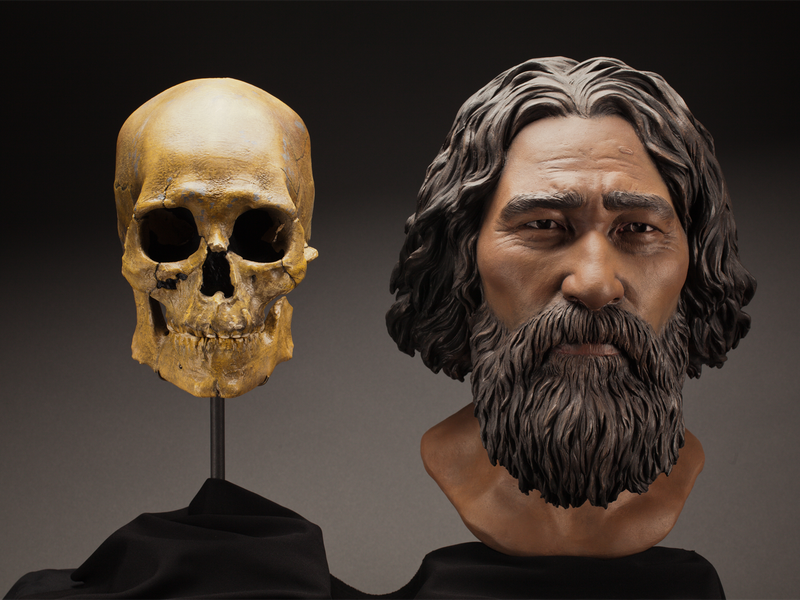 The Kennewick Man could have been replaced by the entry of immigrants at the end of ice age causing the Kennewick man and his relatives to disappear. Kennewick man could have been in existence before the migration of the people at the end of ice age. It can be backed by the possibility of their being conducive environment along the shores of the Pacific other than the ice that filled the rest of the area. The path along the Pacific could have been open for migrants like Ainu to go through and occupy America. The origin is not clear, and genetics would be one of the things that would explain this in future. In conclusion, the judge determining the case of whether the bones belonged to the native Americans or not, finalized the judgment by saying that they do not, as there is a series of new theories that came into play planting doubt of the original people who occupied America.